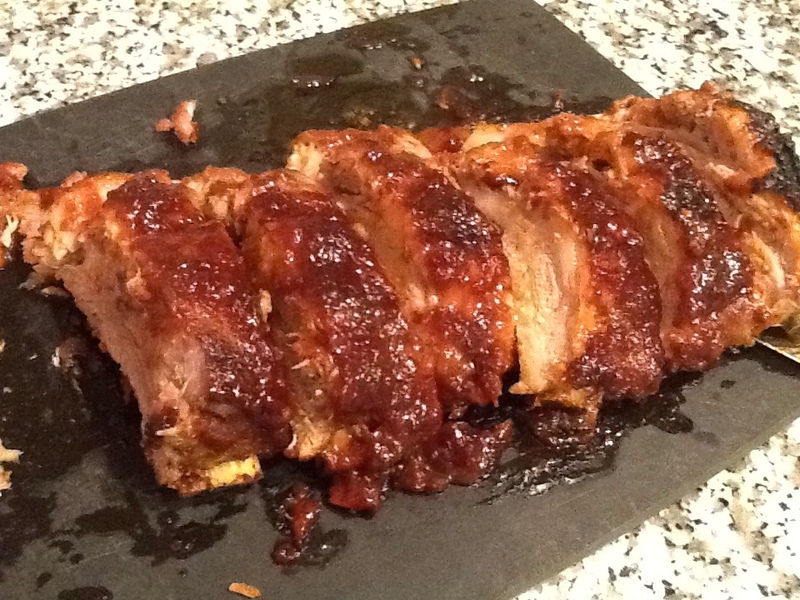 New Year’s Day Ribs…or Any Day! | I Am Not A Restaurant! New Year’s Day Ribs…or Any Day! Sticking with a theme that packaged food is better than mom's food, my son asked that the ribs I was making to welcome 2014 be smothered with bottled sauce. And I almost did it! But with my hand poised on 2 (!) overpriced condiments, I figured out a last minute compromise. A good friend gave me Ina Garten's “Barefoot Contessa Foolproof”. The barbecue sauce recipe (click here for recipe) uses a combination of pantry staples and fave bottled condiments. It is now a family favorite. As suggested by Ina, I used St. Louis ribs – I think they're meatier anyway. I also had no desire to start a midwinter grill, so I cooked them covered, and smothered in sauce, at 350 for 1 3/4 hours. Then mopped and broiled for a nice crunch. Jan6January 6, 2014 • By Betsy Karetnick • This entry was posted in Beef, Comfort Food, dinner, Dish of the Day, Recipes, sauce and tagged BBQ ribs, BBQ sauce, Ina Garten. Bookmark the permalink.